Each year, the Curb Event Center comes to life as more than two thousand members of the Nashville community find their way into its seats to cheer for the Belmont Bruins. The tradition, known as Community Night, provides an opportunity for neighbors and friends to attend a basketball game, eat dinner and participate in a variety of family-friendly events for free. 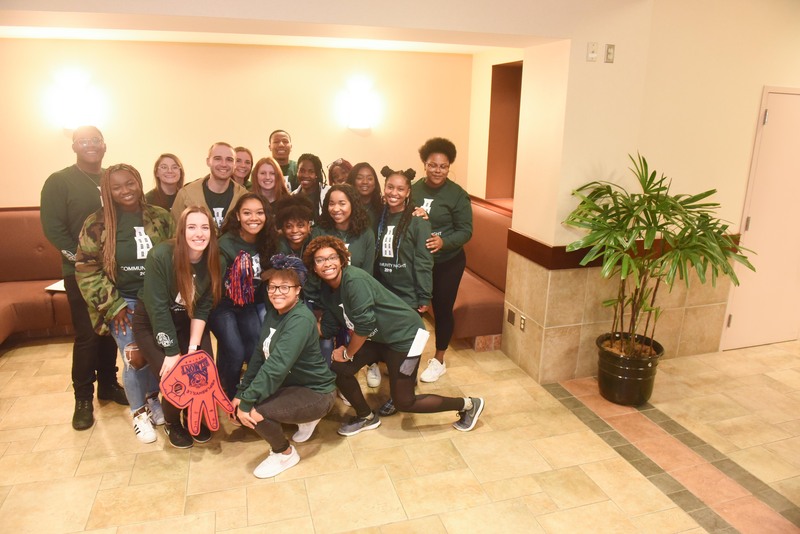 After a full dinner of hot dogs, chips and sodas, guests were ushered upstairs for the Belmont’s Women’s Basketball team’s game against Eastern Illinois. The Bruins defeated EIU with a final score of 98-57. Immediately after, the Men’s Team took on the men of EIU and came out with the same outcome, defeating the Panthers 99-58. The men’s basketball game was especially special on Thursday night as Men’s Basketball Head Coach Rick Byrd earned his 800th career victory making him one of five active – and 12 all-time – NCAA Division I head coaches to reach 800 career victories. The Curb was ablaze with energy as the game ended and Coach earned his well-deserved place in the elite club of 800 wins. But it wasn’t just basketball that could seen from the bleachers. Drum lines from two local high schools participated in a battle on the court. Going back and forth with their riffs, the students incorporated dance routines and full body choreography throughout their performance.